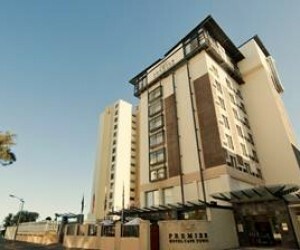 Premier Hotel Cape Town will be re-opening before the end of August 2017, after undergoing an R11 million renovation programme to improve the overall guest experience. Soon, locals and tourists alike will be able to experience the revamp results for themselves. The four-month project, carried out by NV Properties and project managed by Betts Townsend Construction, has enhanced the luxury and comfort for which the hotel is renowned. When guests step through the hotel doors and into the revamped reception and lounge areas - adorned with new furniture, fittings and décor - they will instantly feel at home. The Promenade Restaurant and the Promenade Cocktail Bar have also undergone refurbishments, with a new layout design, bar and contemporary earthy feel which creates an elegant environment in which diners can enjoy wholesome, fresh and affordable fare. In addition, the main kitchen has been remodelled and a kosher kitchen, with separate dairy and meat sections, has been introduced. What’s more, the hotel’s 130 rooms, which command spectacular views of either the Atlantic Ocean or world-famous Table Mountain, have been treated to an aesthetic upgrade that reflects the overall contemporary earthy theme and complements the ambience of the hotel. The intimate Sofie’s Lounge and the hotel’s three conference venues have all been refreshed with new furnishings too. As the renovations are still underway, the main hotel wing will remain closed until the end of July. However, the renovated East Wing is still available for bookings on a room-only basis and a temporary reception desk has been set up in this section of the hotel for guests’ convenience. Access to certain areas of the hotel continue to be periodically restricted in order to complete the various stages of the project. Food and beverage services remain suspended and the conference rooms, business centre and library are still temporarily inaccessible. Certain facilities such as on-site parking, free Wi-Fi and complimentary shuttle to the V&A Waterfront, are all still on offer but may be limited at certain times. 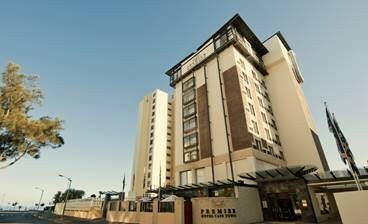 “We can’t wait to show off the new-look Premier Hotel Cape Town come August,” says Sigal Nassimov-Geva, Chief Operating Officer of Premier Hotels & Resorts.